It's happened to all of us. We find ourselves at the store, innocently going about our own business. And then a sign across the aisle pops out at us. "BUY ONE GET ONE FREE!" "FOR A LIMITED TIME ONLY!" "ONCE IN A LIFETIME BARGAIN!" We go check it out, decide it's a great deal, and purchase. We come home with a shopper's high that slowly dissipates to nothing over the next few days. It was a slip that happens every once in a while in consumerist societies. But it's not going to derail us permanently. That is, unless, it becomes habit. If you find yourself constantly bragging about the latest deal you found, you may be extremely frugal. Or you may be a perpetual victim of advertising. The difference lies in the necessity of the item you purchased. If the prices you're constantly talking about are for items you had planned on buying, you're probably frugal. 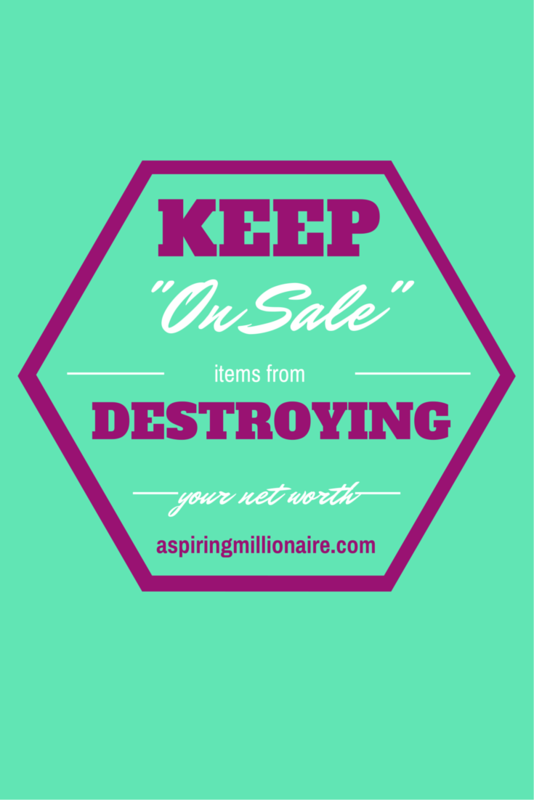 If they're for things you didn't know you needed until you had them, you may be destroying your net worth. When something goes on sale, stores are trying to entice you to purchase, whether you need the item or not. They try to impart a sense of urgency on you so you won't think about the purchase. If this happens often enough, those small, regular purchases are going to add up. The money you spend on them could be put into investments, but instead they're going towards stuff you really don't need. If you don't have a list, you're opening yourself up to become the prey of this type of advertising. Go into the store knowing what you need. If you find a bargain on something you were going to buy anyway, great! But if something's not on your list, it shouldn't even be considered no matter how good of a deal it is. "Was I going to buy it anyway? No matter how great the sale is, you're still losing money if you weren't planning on buying the item in the first place. $10.99 is more than $0, even if the original price was $25. This is where your list comes in handy, as it makes answering this question a no-brainer. 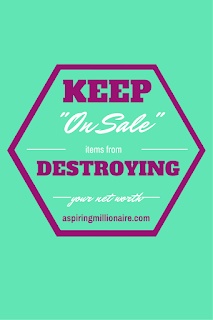 There are almost no sales that are truly once-in-a-lifetime. Most of them are actually seasonal. If you know the sale seasons, and know that the sale price listed is actually a great deal on an item you will indeed use, by all means buy if you can afford it. But if you don't know the sales season for the particular item, wait. Don't tell yourself you're not going to buy it, which makes yourself feel deprived. Rather, tell yourself you're going to watch price over a given period of time, and maybe go home and do a little research. After figuring out the best time of year to buy that particular item, go out and purchase it intentionally at its lowest price of the year instead of making an impulse buy. How do you keep from getting sucked into the advertising machine?